1. Entries will be taken between Wednesday 12th October and Thursday 20th October 2016 inclusive. 2. This competition closes at midnight on Thursday 20th October 2016. 3. The winner will be chosen by Barracudas on Friday 21st October 2016 and there will only be one winner. 4. The winner will be notified via Facebook on Friday 21st October 2016. 6. Only one entry per person will be entered into the competition. 8. 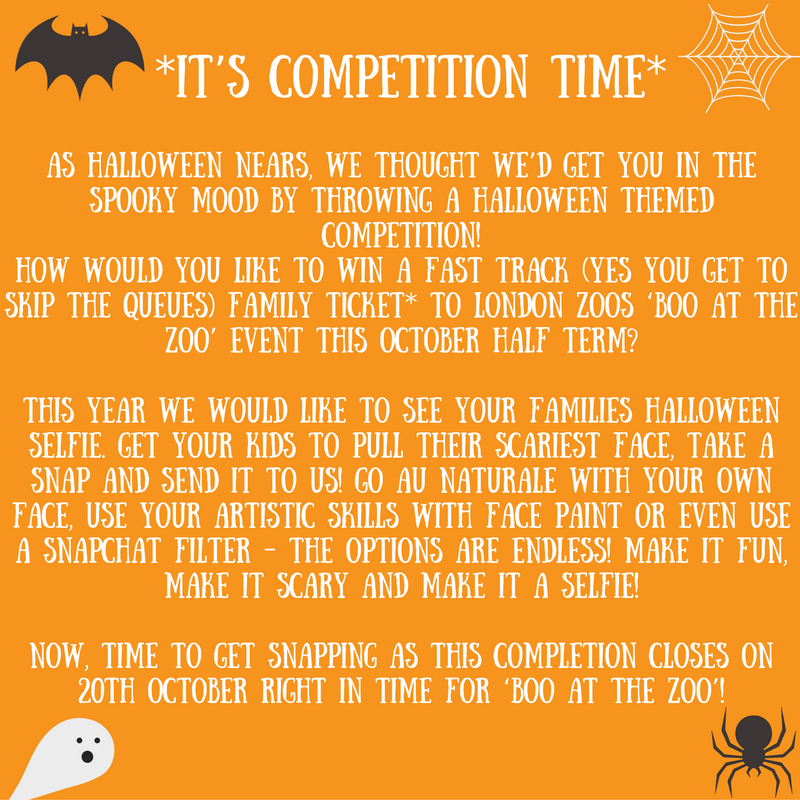 The ‘Boo at the Zoo’ event takes place from the 22nd – 31st October 2016. Therefore the winner must inform us of what day they would like to go to the zoo during these dates. 9. The prize must be claimed by Monday 24th October 2016. 10. The prize cannot be transferred to another person. 12. The winner agrees to have their details published online for the purpose of publicity. 13. The promoter is Barracudas Activity Day Camps, Airfield Industrial Estate, Unit 9, Warboys, Huntingdon, Cambridgeshire, PE28 2SH. 14. The decision of the promoter is final, and no correspondence will be entered into. 16. If any injuries occur whilst at the London Zoo, Barracudas Activity Day Camps are not responsible for this. It is the duty of the competition winner to follow any safety precautions that are recommended to them whilst visiting the zoo. 17. Entrants agree to be bound by these terms and conditions.